Oregon, Wis. (September 12, 1993) - Matt Kenseth was ecstatic. Robbie Reiser was happy, but a bit more reserved. The 21-year-old Kenseth of Cambridge passed Reiser for the lead on lap 119 during Sunday’s Wisconsin Short Track Series (WSTS) finale at Madison International Speedway and cruised to victory before a crowd of about 8,000. It was, according to Kenseth, the highlight of his racing career so far. Reiser, meanwhile, was the biggest winner despite finishing second. 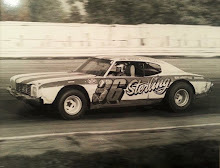 The Allenton driver captured the overall WSTS title and was awarded use of an American Speed Association stock car and enclosed hauler for the 1994 season, a prize valued at about $100,000. Reiser entered the final WSTS event 51 points behind Bryan Reffner of Wisconsin Rapids, but earned 92 points Sunday to finish with 474 points and overcome Reffner (461). Third-place Conrad Morgan followed with 395 points and Joe Shear of Clinton was fourth overall with 385. 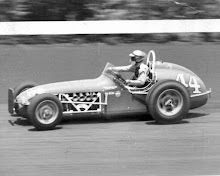 Reffner’s hopes for the WSTS championship died when the left front spindle on his car broke on lap 7. 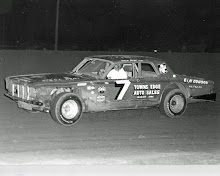 His crew eventually corrected the problem but, by the time he returned to the track, Reffner was 112 laps down and he went on to finish 19th. Shear, the only other driver in contention for the title entering the race, dropped out during the mandatory caution period on lap 101 with a distributor problem. Now Reiser must decide whether to take the ASA ride or sell it to another driver. And on Sunday, at least, he wasn't revealing what he plans to do. Reiser used consistency to claim his fourth championship of the season, adding to the track titles he won at both MIS and Slinger Superspeedway and the Red, White & Blue series title he took at Wisconsin International Raceway in Kaukauna. 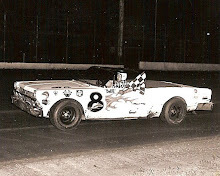 Ironically, Reiser didn’t win a WSTS race but earned the title on the strength of two second place finishes, two thirds, a fourth and a ninth in the series, which included two 200-lap races at each of three tracks - MIS, Slinger and Dells Motor Speedway. Reiser grabbed the lead on the third lap and looked unbeatable during the first half of Sunday’s race. While Reiser made no major adjustments at the midway point, when drivers were allowed to make a four-minute pit stop, Kenseth switched from new to scuffed tires and loosened the car’s setup a bit. After failing to run well or win a feature at MIS in 1992, Kenseth captured five features this season on his home track. Reffner, meanwhile, has been racing long enough to realize the breaks don’t always go your way. 7. Ron Breese Jr., DeKalb, Ill.
23. 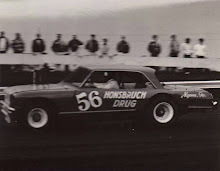 Jim Weber, Roseville, Minn.